Sand Dollar's outdoor living space is built around an expansive multi-leveled deck, swimming pool, hammock nook, and a shaded gazebo. The spacious dining area is perfect for alfresco meals. This area is fully equipped with a professional grill and sink area, making it the perfect spot for outdoor cooking, grilling and dining. 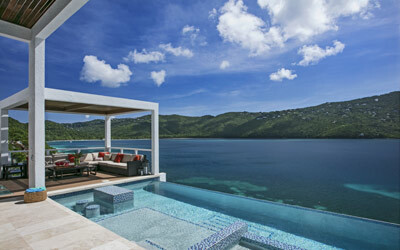 This Caribbean luxury rental villa's expansive deck is the perfect spot to watch spectacular sunsets and to keep an eye on the rest of your family or guests on the villa's private sandy beach below. 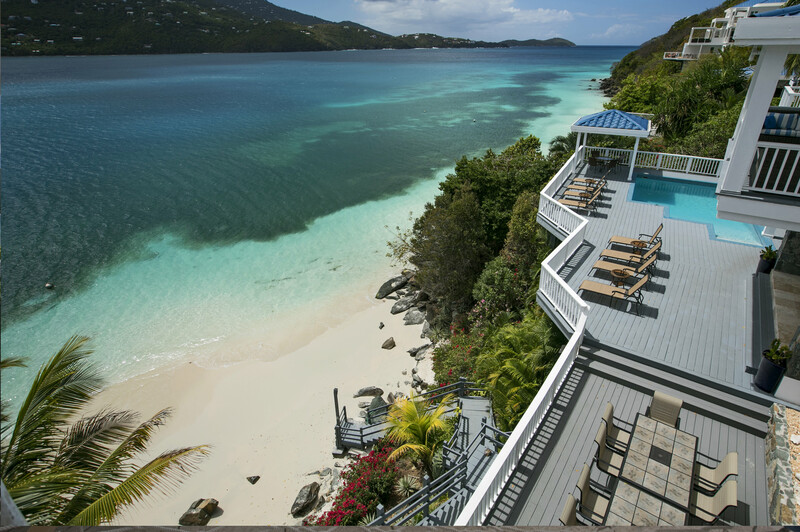 No Caribbean beach resort can compare to the privacy and luxury of Sand Dollar Estate Villa. 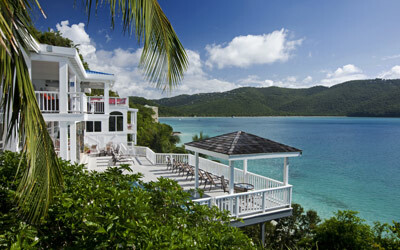 No other St. Thomas villa rental comes close to this!